Last Night is that rarest of birds. Not only is it unabashedly set in Toronto, it’s good! Even people outside of Canada saw it! And liked it! It’s so cool that, in a total case of serendipity, we were working on this for you last week with no idea Edgar Wright was going to screen it as part of his film festival at the Bloor the other night. 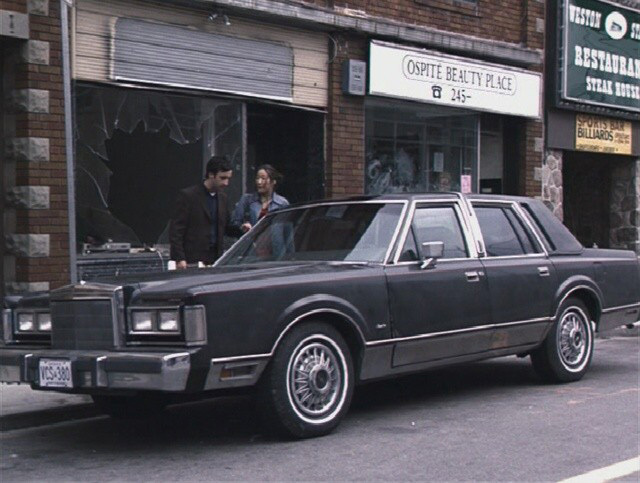 He even had Toronto’s resident Renaissance Man, writer-director-actor Don McKellar, drop in for a cameo appearance. What all this adds up to is the fact that people all around the world have seen the above shot, which is basically the poster image. This particular derailed streetcar was shot on Victoria Street, just south of Adelaide. You can see the old-school Adelaide Street sign better in this shot. That running lady keeps going throughout the whole movie and while we can’t promise we got every location she and this movie hits, we did our best. 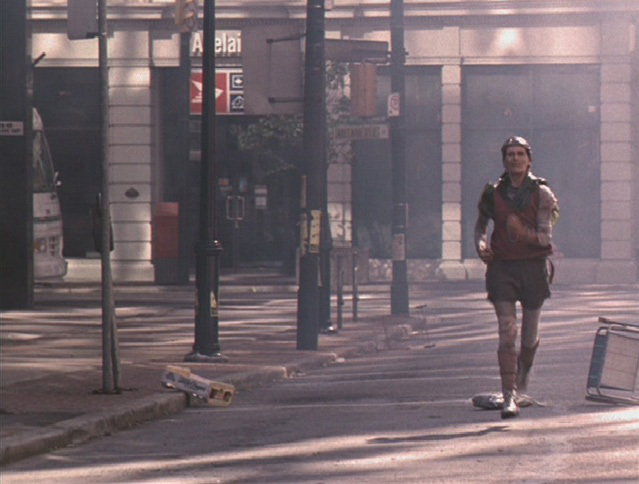 At the end, she runs by a whole bunch of apartment buildings like the ones seen below. They’re all in North Toronto, on Erskine and Roehampton avenues. 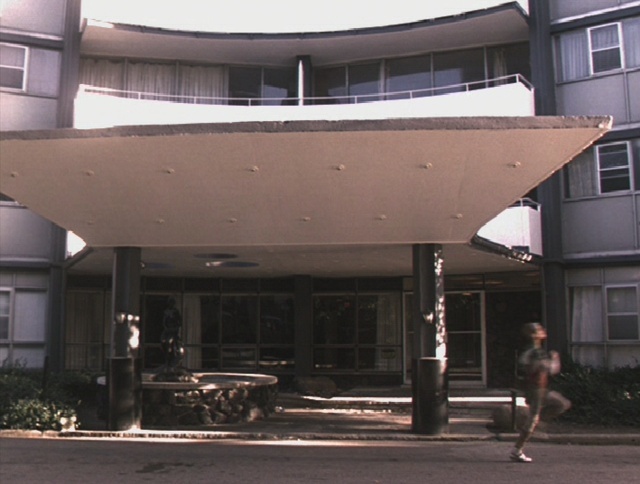 So, Yonge/Eg gets a shout-out, but the bulk of the filming was done out in the Weston Village area. 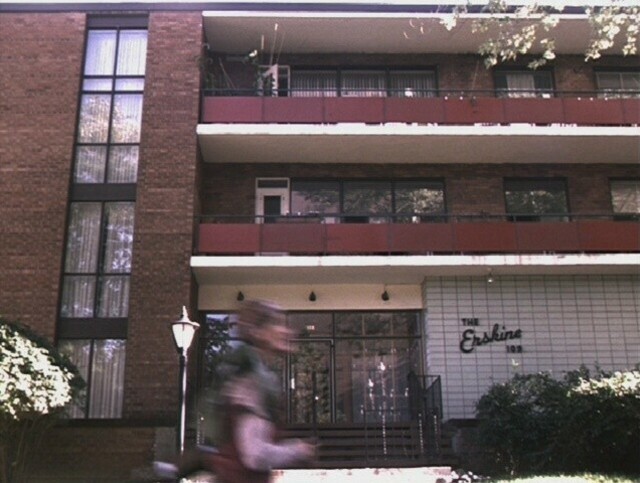 Here, for example, you see Don McKellar and Sandra Oh walking past the Weston Station Restaurant at 1935 Weston Road. Apparently, the beauty salon didn’t want any crank phone calls. 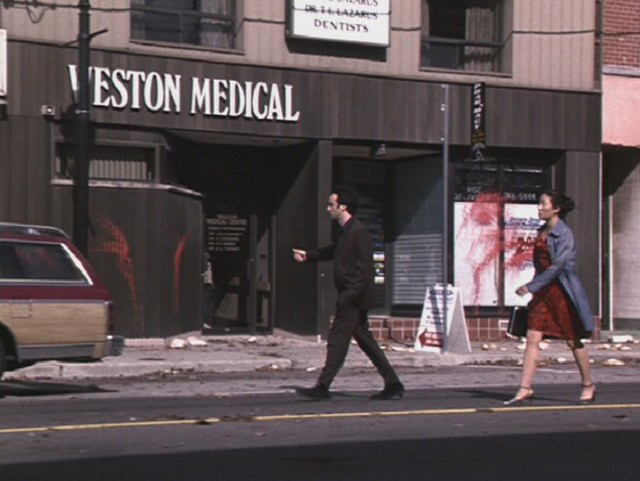 It took a lot of detective work, but we’re pretty sure that this is Weston Medical, right nearby by Lawrence Street. Come on, that site could have said “Veston” and we had to be sure! 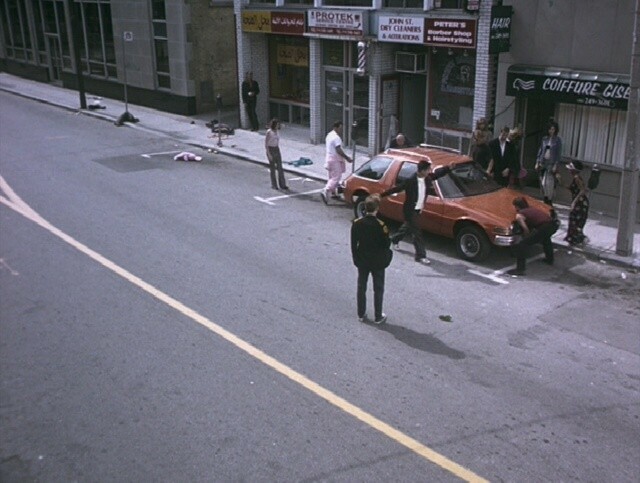 McKellar gets dropped off by his parents near his apartment, apparently located on Lansdowne at Queen Street. David Cronenberg, in a relatively rare acting turn, plays this gas company dude who is thoughtfully calling everyone to let them know they will keep the service running right up ’til Armageddon. 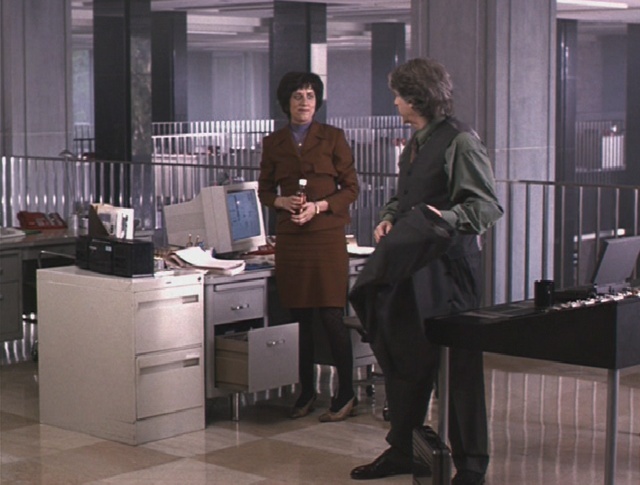 This grey office might look a bit 1984 to you, but it was shot in the lobby (and on the second floor, obviously) of Mowat Block, provincial government offices at 900 Bay Street. 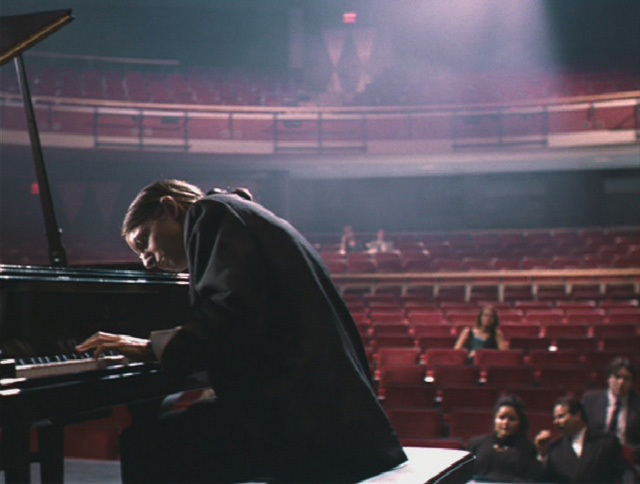 While the vast majority of shooting seems to have been confined to downtown and to the west, they headed way out west to grab this recital scene, not at the fictional Petrolia Theatre, but rather at Mississauga’s Hammerson Hall. We can’t often recommend you sit through the films we’re investigating here but if you’re a Torontoist reader and have not seen Last Night, get thee to a video store (or a library, or whatever)! The film was apparently an influence on Shaun of the Dead, so what more do you need to know?